Kenya opened their 2015 Africa Zone VI Championship with 5.5 points to close day one in joint second with defending champions South Africa and Zimbabwe as the tournament teed off on Thursday, 16 April, at the par 72 Uganda Golf Club in Kampala, Uganda. Day one saw the nine participating nations play the match play format. Kericho's William Odera took the biggest win of the day going 6 up with 5 to go against Ketsengseng Dube of Botswana to earn Kenya's first point. Njoro's Alfred Nadwa won his match 5&3 against Stefanus Bonifacius of Namibia with Golf Park's Kenneth Bolle taking his round 2 &1 against S Myeni of Swaziland. Great Rift's Justus Madoya won his match against Gideon Kagyenzi of Uganda 2 up. These wins earned Kenya five points. Limuru's John Karichu, the 2013 and 2014 Golfer of the Year halved his match against Gabriel Chibale. Team Captain Bhavnish Chandaria of Muthaiga lost his match 5&3 against South Africa's Stroke play champion Jason Smith while Vet Lab's Nelson Simwa lost 3&2 to Zimbabwe's Kieran Vincent. 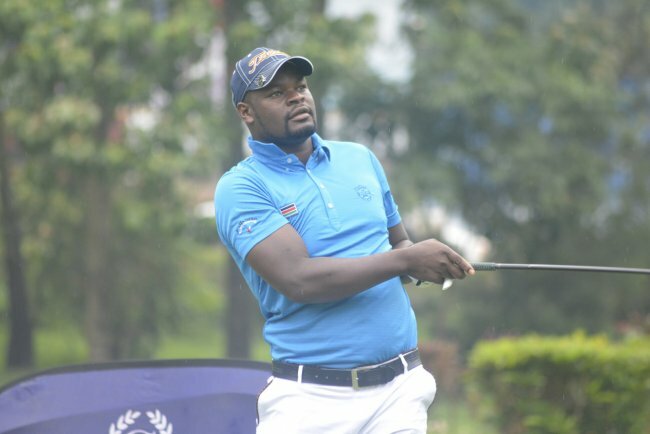 Five of the Kenyans in the squad, Simwa, Wahome, Owiti, Karichu, and Nandwa played at the 2015 Barclays Kenya Open played at the par 72 Karen Country Club. Nandwa had an opening score of 2 under par 70 before missing the cut after a day collapse that saw him play 7 over par 79 for a toal of 5 over par 149. Uganda top the table with 6.5 points after their team won 6 matches, halved one, and lost one. This year's tournament has nine teams represented. They are hosts Uganda, Kenya, Swaziland, Botswana, Zambia, Zimbabwe, Namibia, South Africa, and Malawi. The second day of the championship will see the teams play two rounds in the foursomes and the four ball better ball formats. The tournament comes to a close on Saturday with the singles.